Photo courtesy of Summit Daily. If you’ve traveled to Breckenridge lately, you have seen the new construction taking place near Colorado Mountain College (CMC) and the free skier lot on the north side of town. The Denison Placer development broke ground summer of 2016 and is scheduled for completion spring or summer of 2017. This $5.7 million housing project is set to feature 30 different rental units with approximately 20 studios and 10 one-bedroom units. A few weeks ago, the board of trustees for CMC entered formal negotiations to purchase the workforce property from the town for student and staff use. 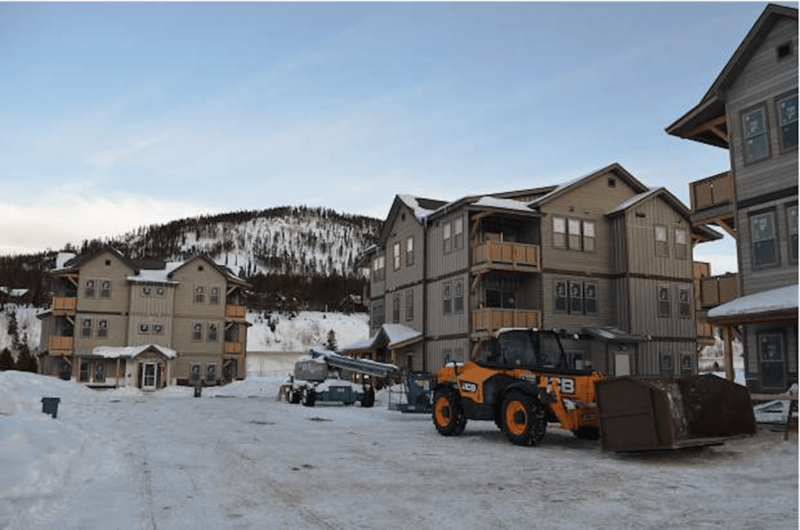 When the town of Breckenridge started building these units, it was always their intention to have some type of partnership opportunity with CMC as they had voiced interest in a student housing project early on. Details on the completion of construction are still being finalized for the three buildings on 1.05 acres, but the current target is June with occupancy by sometime in July 2017. Early estimates place monthly rent between $900 and $1,100 per unit. The 30 units are part of a larger plan on the site for 54 adjacent for-sale townhomes and as many as 20 apartments on the second phase of Denison Placer. Currently CMC does not own any student housing in the area and consistently hears from students about the shortages and challenges of housing in its mountain communities. This location is appealing due to its location along the bus route and proximity to campus. Students would be able to walk to class and at the same time, be able to take the free bus to-and-from a job they may have in the community. If CMC were to eventually own the property, it would help solve some of the ongoing crisis in the county because it would meet a community need by offering housing to people who go to school and are also employed in Summit County. The funds from a potential sale would also go right back into the town’s construction budget for future housing projects. With the next academic year at CMC starting in August 2017, it would be most ideal if CMC and the Town of Breckenridge would complete negotiations in a time frame to communicate with the potential occupants by the time the fall semester begins, preferably a few weeks beforehand. CMC is hopeful the timing for housing could be seamless. The first priority will be to house students and then staff if sufficient housing is available in the first year.